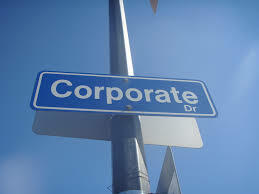 You are here: Home / Corporate Strategy / Should Big Company Executives Jump To Startups? 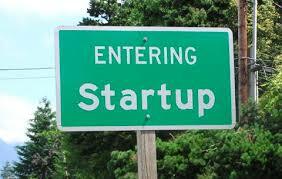 Should Big Company Executives Jump To Startups? Maybe. But not if they are truly “big company” executives in their basic makeup. Of course, if you’ve spend your career to date strictly in big companies, it may be hard to tell what your true makeup is. That is really the rub. This is true about many things in life, but I believe it is particularly relevant to the Big Company/Small Company discussion. If a senior exec is comfortable and happy within the big company culture, I strongly question whether a jump to a startup is advisable and has a strong chance of success. Many make this move and are very successful, of course. But my basic message is that this move represents a massive change in environment leading to a least some adjustment period due to culture shock. There really isn’t a great way to judge the odds of success. No matter who you talk to or what steps you take to prepare, until you’ve actually worked in a startup it’s very difficult to say whether or not you’ll like it and whether you will thrive. Of course there are those rare individuals that excel at anything and everything they do, regardless of the situation they are placed into. Smart, charismatic and hard-working tends to play well everywhere. But the operative word from that first sentence is “rare”. For everyone else, we are all probably better suited for either a large company or a small startup–but not both. What passes for ‘conducting business” is very different in each environment. If an executive is happy conducting large, lengthy meetings on a daily basis, managing large staffs, is comfortable with matrix/overlay organizations and has as a focus on process and structure–these proclivities generally don’t transfer well to startups. All of those things can be valuable in startups as well, but different skills tend to be more important–as we’ll discuss below. In big companies things usually move at a more measured pace than the typical startup. There are a lot more zeros involved in the normal large company decisions and the “cost” of making the “wrong” decision appears higher. (In actuality, the stakes of a bad decision are even higher in startups–the very existence of the firm may be on the line–but there is certainly less existing business to lose.) In a big company decisions tend to be taken more slowly, often with layers of management discussion and approval. There is a greater emphasis on consensus-making and internal communications. Frankly, we’re talking about political skills here and they tend to be VERY important in larger companies. In a startup there’s usually no time to waste on a lot of internal stuff, people that are viewed as too politically astute are often called out for it and hopefully there are very few management layers that you’re required to “sell” your ideas to. In a startup speed is often a predominant winning characteristic–it’s usually a requirement to beat all of those large companies with big leads in the marketplace and a huge advantage in resources. Being able to see “clearly” while ignoring all the noise is very important in any size business, but particularly so in startups and early stage companies. This is especially true in fast-moving segments such as mobile hardware, mobile software and SaaS technology markets. The very act of starting up a business comes with a real ambiguity about with where you fit in the market. You start with no brand, no pricing data, no historical feedback from customers. How should you approach important decisions in this environment? The startup executive must be often be comfortable pondering company-making or breaking decisions with very little data. And maybe the most important attribute of the startup executive is adaptability; when that feedback or other data finally does present itself–no matter how skimpy–it’s important that the company be able to pivot on a dime in a new direction. Sticking too long with a losing strategy kills many startups–nimbleness is essential. Not everyone is comfortable with all of this uncertainty are is this naturally adaptable. This can be particularly true if a very senior executive at a large company has become too used to being able to absorb large amounts of data prior and take his or her sweet time before making big decisions. As I’ve mentioned above there are LOTS of different people involved in nearly everything in big companies. In most cases, being a “team player” is really important. In startups, on the other hand, oftentimes you’re left alone on an island. It’s your decision alone to make, and at the earliest stages, it may be your responsibility to execute alone as well. There’s nowhere to hide in such an environment. Not only are you responsible, but there many not be another individual within the company that you can even bounce your view of what needs to be done off, who will understand what you’re talking about. This can be a shock to the system of someone who has spent their career is a consensus-oriented, matrix management culture in a big company with many other smart, professional people. A successful startup executive usually relishes a high level of personal accountability, enjoying the “wins” and is able to accept blame–yet can quickly move on and work even harder after the “losses”. A while back I followed closely activities of a startup software company with promising technology located here is San Diego. They had so much promise that the raised a large amount of venture capital at a very early stage, on the order of $75-100M if I remember correctly. With all of this money they attracted a VERY high profile, high level executive from a publicly-traded telecom company. He was given a huge compensation package and proceeded to hire a staff of 8-10 VPs all with very impressive big company resumes, paying them all salaries in the $175-250K range plus bonuses and equity. All of this happened when the company still had very little revenue, let alone profits. Needless to say, this company folded with just a few million in annual revenue and never really sniffed real traction or came close to profitability, running through that huge nut of investment capital in record time. This is an extreme example, of course, but a cautionary tale nonetheless. The real issue this illustrates is that for a very senior executive in a large company, the CEO role seems the only reasonable move to a startup environment. There’s no place to “get their feet wet” in this radically different environment. This can cause A LOT of problems. All of the things discussed earlier in this article are more extreme in the situation where a lifelong big company exec jumps directly into the CEO role. As captain of the ship, every decision is magnified and there is really no time for the normal learning curve to be climbed as would happen if an individual makes the big-to-small company jump to a position farther down in the organization. There is also really no one to “learn from”; who is going to “teach” the CEO how things work in a smaller organization? Many if not most CEOs won’t seek out such “teaching” and for a lot of other reasons this generally wouldn’t work very well anyway. There are exceptions to everything; as I stated earlier, smarts, charisma and hard-work tend to work well almost everywhere. And you might find a senior executive in a large company that really was a startup guy/gal at heart all along, or simply a superstar easily adaptable to any environment. But if it was my money on the line, I wouldn’t bet on it. This move has a high probability of being a company-making or breaking decision. So to summarize: be very, very careful whether you’re considering this move for your own career or as a hiring decision for your company. I personally would very hesitant to hire an executive with only big company experience for a very senior position in my startup–let alone to lead it as CEO. Let some other company be the guinea pig in judging whether or not that executive fits in a small company culture. Just my view, of course, many may disagree. What do you think? Post a comment to fill us in. I’ve seen so many times in my career, when “professional” managers begin to manage, innovation dies. Buu, very true, that’s definitely one of the concerns…. Underlying motivation of a move was not discussed as a criteria. I find those that do shift successfully demonstrate a history of entrepreneurship in those ‘large’ companies. They often changed jobs annually and were tapped to drive new initiatives and projects.